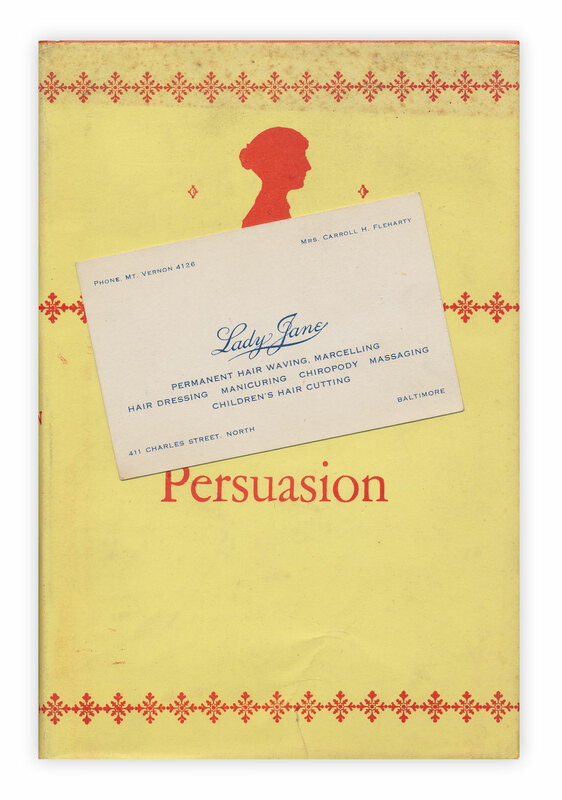 Business card for the "Lady Jane" hair salon of Baltimore, Maryland. Found in (what else?) "Persuasion" by Jane Austen. Published by Dent/Readers Union, no date, circa 1950. You can't make this stuff up can you? Some wonderful surprises - thank you for sharing!! I have just finished of reading "Persuasion" for the fourth time! !